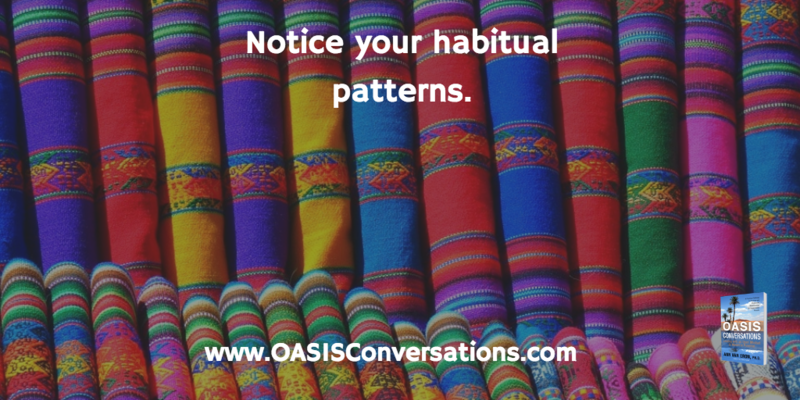 We all have habitual patterns. Some serve us and some don’t anymore. Our patterns are like well-worn pathways in our brains. Someone irritates us and we yell. We get negative feedback and we berate ourselves until we feel we are not worthy and will always fail. We feel anxious and worry about money or our health or our kids constantly. Recognize that you are human and experiencing these reactions is a part of our human condition. Your pattern did serve you at some point and now you sense it is less useful. 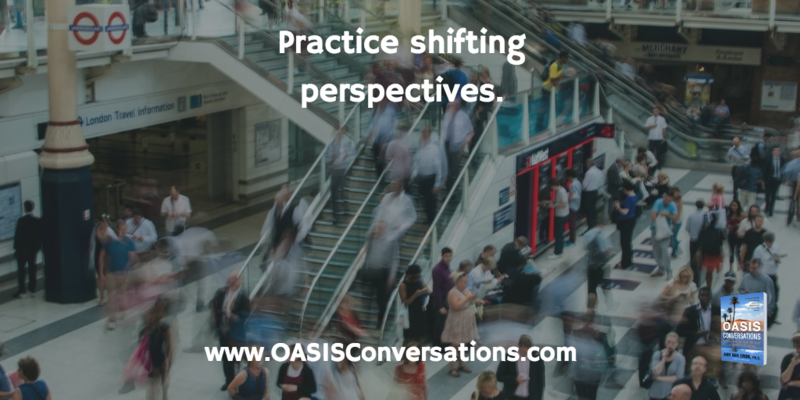 Practice noticing your habitual patterns, giving yourself empathy and trying on different perspectives. This entry was posted in Perspective by Ann Van Eron. Bookmark the permalink.